We understand that new surroundings, while exciting, can be stressful, especially when you are not certain about the location or operation of important components of your new home and community. 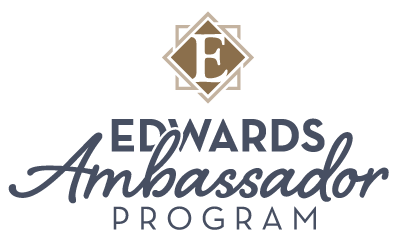 Our Edwards Ambassador Program was specifically designed to increase familiarity and therefore minimize the stress of your move-in day. We will be ready and waiting for you on move-in day. You will first be greeted by one of our professional membership specialists who will personally tour you around your community center. The purpose of this tour is to familiarize you with all the great services and programs available to you as a member of our community. Hopefully, at the end of your tour we will have answered some key questions you might have, such as: how do I reserve the movie theatre, how do I go about checking out a movie from the community library, or how do I gain access to the business center after hours? Our Membership Specialist will introduce you to your own personal Move-In Service Ambassador. Your Ambassador will then take you on a tour through the community and accompany you to your new apartment home. On your tour, they will point out our key areas of interest in the community, such as the location of the trash receptacles, mailbox kiosks, and the many other community features, in an effort to familiarize you with the working mechanisms of the community. Having completed your community tour, your Move-In Ambassador will personally accompany you to your new home. You’ll be happy to know that prior to your scheduled move-in day, our professional team will have inspected your home using our 45 point inspection program to ensure that all aspects of your apartment meet with your approval. Your Move-In Service Ambassador will conduct a personalized move-in inspection and orientation with you. During this time, they will demonstrate the proper operation of key mechanical components and point out the location of important areas of interest, such as shut off valves for the water or electrical panel. Together you will also inspect your apartment home for cleanliness and overall condition and record the results on your Statement of Move-In Condition. THIS PERSONALIZED PROGRAM IS DESIGNED TO HELP MAKE YOUR MOVE-IN DAY ONE THAT WILL MEET ALL YOUR EXPECTATIONS OF EXCEPTIONAL APARTMENT LIVING! Orleans is located in a great area with affordable rent prices. Perfect for animal lovers. So many great dogs enjoying walks and cool cats sitting in window watching everyone. The Barn (for Orleans residents) has a first class Gym, Bar, and Pool. The movie theater is stellar, other tenants are friendly and staff is very helpful. Very happy.. which is why I have been here almost 5 years!! Maintenance has always been prompt and thorough with any issues . . . Orleans recently exceeded my expectations and I think they deserve a kudos! Our first residence in Ohio! Lived here 3 years. Well priced, great area and lots to do!